Every day at 07:00 local time, our taxi picks you up in Puerto Ayora hotel where you overnight. Headed north of Santa Cruz in the Itabaca Channel where Nautilus motorsailor remains in the evenings. We board with the inflatable dinghies. Once aboard you can leave your belongings on the bridge of the ship and get ready for the safety and diving breefing exposed by the guides. During the briefing the guide will assign you a dive buddy if you do not have one. Remember the safety rules of diving, the way down to the dinghies, entry into the water, underwater navigation, deep, maximum depth, safety stop and how to board the inflatable boats. Also talk about the visitors rules of use of the Galapagos National Park. This is the time they can use to ask the guide any questions. Here the briefing dive groups regarding their experience with each zodiac, your sailor and his guide are formed.During the breefing the dive guide will show you the underwater map of the place to dive, indicating the most important features of topography, conditions, currents, temperature, visibility. Also name the animals we expect to see during the dive and how to approach to them. 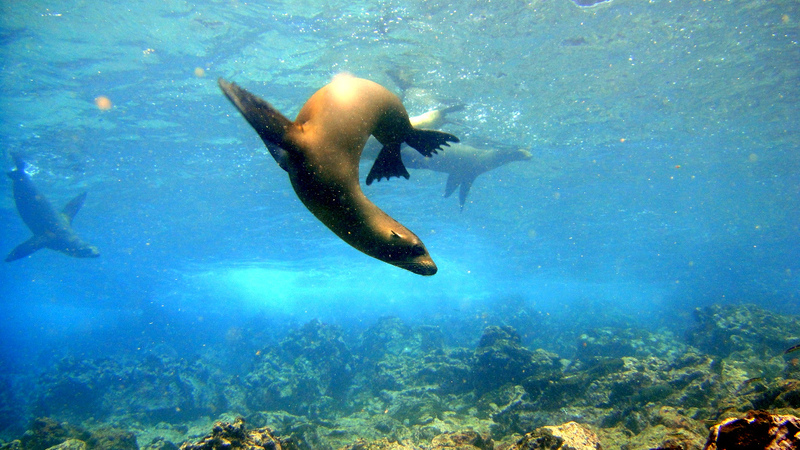 During the day two activities are carried out in the Galapagos Marine Reserve. For certified divers are two dives with tank in the GMR of approximately 45 minutes duration each and usually depths between 15 to 27 mts. and separated by a surface interval of at least one hour. 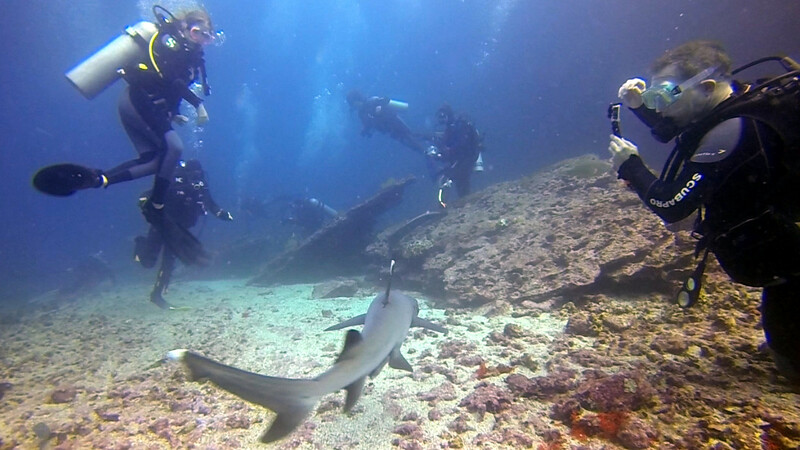 For divers not certified the two activities are: 1 scuba tank about 45 minutes at a maximum of 12 meters. 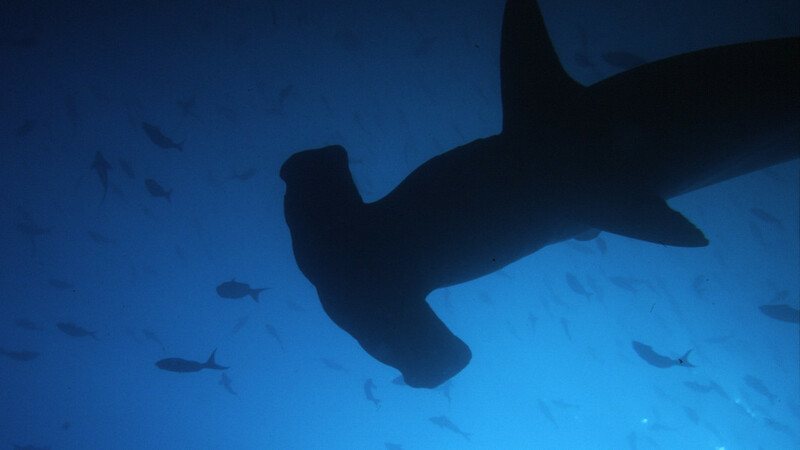 We find large numbers of animals at this depth. 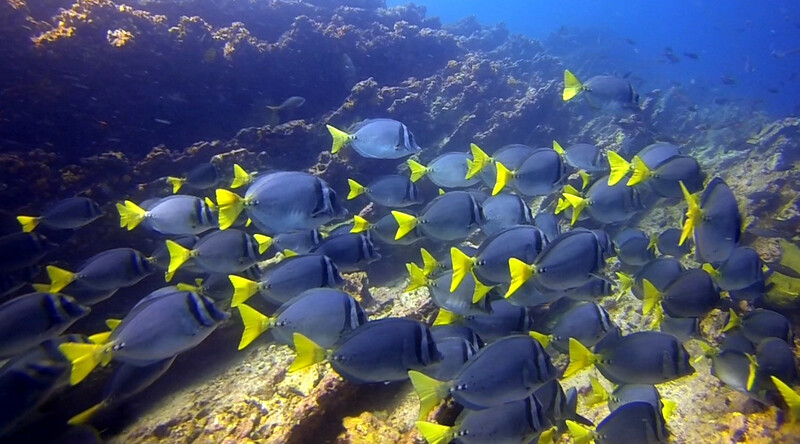 And also made the second activity snorkel or diving area of ​​approximately 45 minutes in one of the best sites in the Galapagos marine Reserve. For accompanying persons who do not want the activity of scuba diving, you can do two activities of snorkeling of ​​45 min duration or a panga ride in authorized locations around the coast of the islands to see animals and seabirds. Between the two activities it is offered to passengers a snack. In the cafeteria of the boat it is tea and coffee available, as well as drinking water. On the boat there is a small bar of soft drinks with reasonable cost. After activities while navigating to Itabaca channel a box lunch with beverage is offered. The time back to Puerto Ayora is approximately 15:30 to 16:00 hours.